This entry was posted in business book, careers, entrepreneur, entrepreneurship, flexibility, Sean Gilligan on August 7, 2015 by Sean Gilligan. Firstly, Developing Skills for Life Long Learning. With graduates these days having an average of 27 jobs in a lifetime, re-skilling will be essential if individuals are to be successful in the modern workplace.Learners of the future will need to have a growth mindset and believe that intelligence is not fixed and can be grown. Secondly, increasing family engagement can be transformed by EdTech. Tools such as homework notification tools for parents can do this and Skype for Education can allow for private and secure communication between teachers and parents when parents are difficult to reach in school. Planning for future education opportunities such as college, as well as career paths, is also very important. With graduates now having debts averaging £30,000 in 2015 (up from £20,000 in 2014) value-adding and employability issues are high on the agendas of Universities and Colleges. Improving teachers’ productivity through new technology and reducing workload is another area for innovation. Meanwhile, closing the gap, continuous professional development and making learning accessible to all are further opportunities where educators and technologist can collaborate. Mr Mitchell, who is now Headmaster of the Co-operative Academy in Leeds, and who was born and raised in Dewsbury, talked about importance of Education Ethos. Mr Mitchell described how, when Microsoft changed the default setting for meetings in their Outlook software from 1 hour to 30 minutes, productivity was massively increased globally. Focussing on the simple things can sometimes have the greatest impact. He continued to remark about the importance of building resilience and the character of both the teacher and the learner. 75% of the issues in High Schools are behavioural, so teaching both teachers and pupils emotional intelligence and how to build relationships can help schools grow and prosper. Sometimes teachers’ lack of emotional intelligence leads to double standards; this is why respect has to be earned. Values are important to underpin everything we do in school, and “we are only as good as the most junior members of our team”. The junior members have to give it all and do what it takes to make the organisation successful. If the culture and values are not lived by our most junior members of staff we will never be successful. Our very own Ben Wagner then took the audience through some of the latest trends in EdTech and demystified some EdTech jargon. Ben went through various case studies on the practicalities of how EdTech can be implemented to save teachers time and reduce the workload. Flipped classrooms, personalised learning pathways and blended learning stories were discussed in a question-and-answer session. 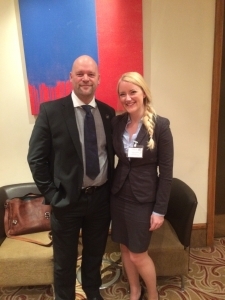 Rob Faulkner, our e-Safety specialist, gave a talk on how to protect teachers and children online. Rob described some of the security breaches which have hit the press in the last year, including celebrity iCloud photos going missing and massive data loss at Sony Pictures. Poor password management is a major security issue, especially where most individuals use the same password for most of the website and services they consume. To be prudent online users must use different passwords online for each site, or indeed use password-management software such as LastPass, PasswordSafe or PasswordBox as master keys to their online worlds. Rob advised on 2-factor authentication for popular services such as Facebook and Twitter in order to ensure greater levels of security. 2-factor authentication means, upon logging into a service, you receive a password pin via SMS to ensure you are indeed who you say you are. Rob warned about giving passwords to 3rd parties over the phone, especially if they called you. The latest anti virus software must be used and you should be aware of malware found on app stores by examining the review and reputation of apps online. If you’re still using Windows XP and are connected to the Internet, you really must upgrade – this no longer receives security patches from Microsoft – and it’s very important you ensure that you are on the latest versions of Adobe Flash and Java in order to safeguard yourself. Remember to challenge your staff and share your knowledge. Don’t be afraid to ask. Paul Quinn, Assistant Headmaster of The Holy Family Catholic School, gave his presentation on continued professional development (CPD). New government policy means pay rises are now subject to teacher performance, so more proof is needed to demonstrate you are indeed a good teacher. Senior leaders have to create a culture that allows pupils and staff to excel. Leaders and governors need to use incisive performance management tools. Teachers have been asked by the “powers that be” to reflect and debate on the way they teach. They need to be deeply involved in their professional development. The Holy Family School are increasing in-house training, sharing good practice and compliance for safeguarding using online tools. Teachers are already good at social interaction as they have to entertain and educate people all day, so setting goals and attainment targets is a second nature to teachers. So what do teachers need help with? Teachers want to reduce paperwork as this can be a barrier to taking work home. Paper can be taken out of the equation with online learning platforms for teachers. Automatic notifications for professional development can help senior leadership teams eliminate low-value tasks such as reminding staff to fill in forms. Teachers doing their CPD online from home gives them time to reflect away from the hustle and bustle of the classroom. Teachers can share their best practice hints and tips with other teachers in school. More senior staff could even coach newly qualified teachers (NQTs). It was recommended by Paul that, in rolling out an online teacher learning platform, NQTs should be targeted first and then adoption should be built up from there. 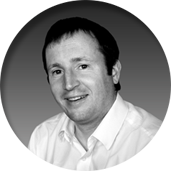 When asked about the payback for deploying such a system, Paul described a year two benefit after the year one set up. 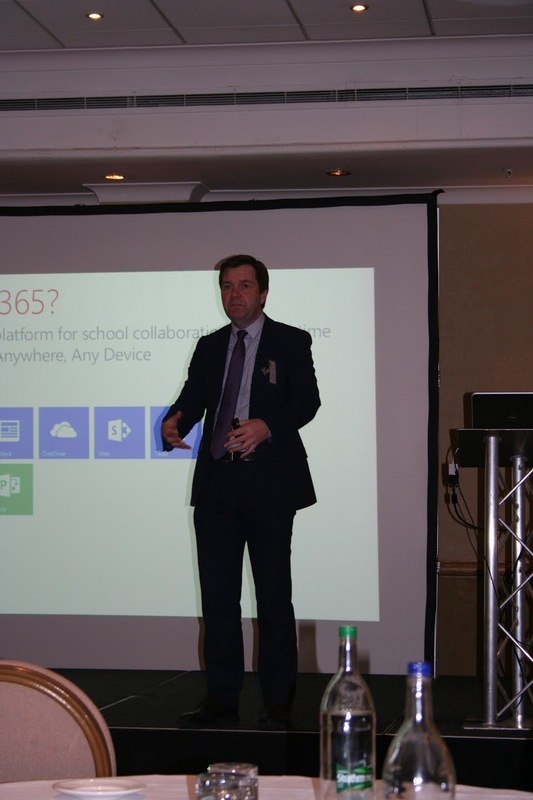 Mark McManus closed off the day by showcasing Microsoft’s cloud based offerings starting by explaining Office 365 was for teachers. There are three places for storage on the platform: Email storage of 50GB per user, OneDrive which has uncapped storage and finally a shared storage area where assets and documents can be shared online. Office 365 takes the best of Microsoft’s Office productivity software and takes it online. All staff and students can use Office 365 on up to 10 devices for free, opening up the possibility of less tech-savvy families using the software (providing their school or institution has subscribed to Microsoft). Office 365 not only works online, it works on all types of devices ranging from Apple’s iOS iPhones and iPads to Google’s Android operating system and Google Chromebooks. 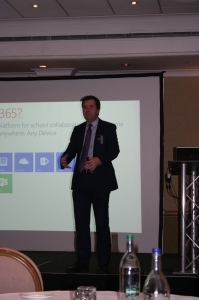 The Office 365’s offering is free to all education organisations in the UK and has the same level of functionality as the premium enterprise version of the software. Documents can be download for working offline and then can be re-synced. In a future release you will be able to have greater control on when and where you sync your files. Furthermore, Skype for Business is also free for education users and other apps such as the Newsfeed and Yammer allow you to create private social networks within your school. Mark continued to explain some the benefits and advantages of Office 365 by explaining the Presence function. A teacher can display to other users whether they are busy or not. Other users can then decide on how to communicate with the the teacher based on this presence status. One teacher explained that from 6pm to 6.30pm daily they would be available for homework help, and found that students used this time to instant message the teacher and conduct private Skype tutorials out-of-hours. Office 365 is not just Word, Excel and PowerPoint online. Office Mix and the video app allows teachers to create flipped classrooms where audio and quizzes can be added to PowerPoints and these can be shared with students as videos online. Another trend which is happening in school is moving school servers out of the school building and onto the cloud. Some Network Managers and Headteachers get nervous at this thought. Mark’s reply is simple: How many schools have full time security staff? His answer was to explain that, in schools, there are zero staff and even big Universities usually only have about 3 full-time IT security officers. At Microsoft their whole business has been bet on the cloud so they have hundreds of engineers working around the clock to ensure security is of the highest standards. Azure cloud server farms are also 100% carbon neutral which is another reason to make the switch. Finishing off the day I asked Mark as part of a panel discussion why schools and colleges should chose Microsoft over the other big tech giants such as Apple and Google. Mark explained that if someone is searching for a job online and they enter Microsoft as a keyword, the opportunities are vast. He went on to state that 90% of businesses still use Microsoft technology and it is somewhat an industry standard. Nevertheless, Microsoft has become more open under the new leadership of Satya Nadella, and with the availability of Word and Excel on Apple and Android devices, the stack or technology subset you choose has become less important. Cloud computing is making IT software much more like a utility service such as water, gas and electricity. Just as you can turn the tap on and off you can turn software on and off and scale your deployments with ease. This will allow IT staff at school to do less of the low value repetitive maintenance tasks and conduct higher value higher impact teaching and learning support. This entry was posted in careers, EdTech 15, EdTech Entrepreneur, EdTech Leeds, education apps, Moodle with Microsoft and tagged Azure, EdTech 15, EdTech Leeds, Moodle and OneDrive, Office365, OneDrive on June 24, 2015 by Sean Gilligan. It was back in 2010 when Professor Jeff Gold explained to me the importance of values. During a similar time I had watched a Harvard Business Review Ideacast on the importance of having a company purpose. Once I understood these theories, setting the company values and our cause was straightforward. Our purpose was to create jobs and I measure my success by this. Our company values are to be flexible, fun, contribute, go the extra mile and to keep learning. Furthermore we want superstars who are curious, proactive and helpful. We have 8 core values at Webanywhere but one of the values if mastered can make living the other values much easier. You can often tell how curious a person is by the number and quality of the questions they ask. The best paid consultants in the world are paid the big dollars for the quality of the questions they ask. A curious person having a taxi ride will be so curious they will know where the taxi driver was born, his interests, his family, his challenges, his upbringing and probably his life history. I was taught from a young age that it was rude to ask too many questions. Certainly asking 20 questions would be too much! However, my thinking has changed as I have matured. I learnt from UK Entrepreneur James Caan that anything you want to know is in somebody else’s head. Therefore all you need to do is ask the right questions. In an interview situation a curious candidate will have done their homework on the company in question and will have many questions to ask. A curious co-worker will always ask questions to further understand the truth. When troubleshooters enter businesses to turn them around they often use the “5 Whys” technique to get to the root cause. Remember, in business the key is to find the business problem, so seeking the opinions of workers is important, especially those closest to the coal face. All in all, curious people have more active minds, they are open to a world of opportunities and have ideas. Curiosity limits waste, drives sales, helps innovation and creativity. Of course, curiosity by itself is no use, and adds no value. You need to combine your curiosity with the energy of proactivity and helpfulness, which makes every member of staff and every customer feel like they are walking on the red carpet. If you are reading this blog and have watched our video, you too have a curious mind! To be curious implies you are eager to learn and to change. This entry was posted in careers, curious, entrepreneurship, Leadership and tagged curious, entrepreneurship on February 20, 2015 by Sean Gilligan. Every year for several years I have worked with Shahid Rasul and Christos Kalantaridis lecturers at Bradford School of Management challenging students to come up with ideas to problems faced by Webanywhere. Not only does this strengthen our ties with Bradford University and help their mission to ‘Make Knowledge Work‘ but there are real business benefits to working with Webanywhere outsiders. It is true that executives and managers in businesses can suffer from not seeing the wood for the trees and young dynamic students with fresh thinking can challenge some of your original thinking. Our work with Christos is particularly interesting as we developed an online Ideas Market which now spans six international Universities two of which are in the Ukraine. Clearly, our online learning solution is much needed given the difficulties posed in the Ukraine and the disagreements between Russia and the West. Indeed, Christos is meant to be visiting another University in the Crimea but given the difficult situation this will no doubt have to be cancelled. The online Ideas Market place will continue to allow collaboration between University research groups irrespective of the political unrest and diplomatic strains. My work with Shahid’s students has been equally enlightening. Two groups of students have been helping us with the challenge of global expansion. One group focused on our go to market strategy in the USA and another group focussed on issues around the business cultures between our three global offices in Poland, the USA and the UK. It was thoroughly enjoyable watching the students present back their findings at the School of Management. Hopefully in a few years to come we can re-connect with the international students and who knows perhaps they will run Webanywhere in China! This entry was posted in Bradford School of Management, careers, Sean Gilligan, Uncategorized on April 12, 2014 by Sean Gilligan. I have written in the past about our fruitful relationship with the Bradford University School of Management, and would like to let you know about a fantastic project we have collaborated on recently. 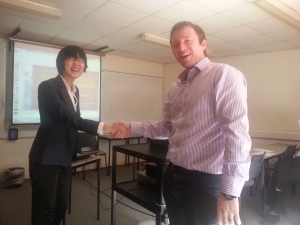 Webanywhere linked up with a group of students at the School of Management looking at entrepreneurship. As part of their final project the students met with business leaders in the Bradford area to look at the real life challenges facing their organisations, and were tasked with creating solutions. A major issue for Webanywhere at the moment is managing recruitment. We are growing fast with new vacancies being created all the time (check out our Careers page to see our current vacancies – as you can see there are plenty of opportunities for the best and brightest!). As a result, we set the students the challenge of how to recruit and retain employees who are aligned with our company values. The students interviewed staff face to face, sent out staff surveys, and compiled an incredibly insightful report featuring several eminently practical solutions to the challenges we face. I was incredibly impressed with the results of our collaboration, and I was not the only one! This Telegraph and Argus article details the positive impact another group of students from the Bradford School of Management had on this year Positive Bradford campaign. We will be keeping in touch with the group, as it contains some exceptional individuals with bright futures, who would fit right in here at Webanywhere. We are already working on a new project with web development students at the University on an interactive online recruitment tool – watch this space! This entry was posted in Bradford School of Management, careers, entrepreneur, jobs, keighley, Sean Gilligan, Webanywhere and tagged Bradford University School of Management, entrepreneurship, recruitment on April 26, 2013 by Webanywhere. As I’ve said on this blog before, one of the parts of my job I enjoy the most is being is position to seek out and recruit talented people to join the organisation I manage. Webanywhere’s stated target for this year is to create 60 new jobs across the organisation, a target we aim to meet by September this year. I’m really pleased that we’re currently slightly ahead of where we need to be to meet this goal. This week I spoke to reporters from the local press about our recruitment aims, and Webanywhere was featured in a couple of local papers as a result. 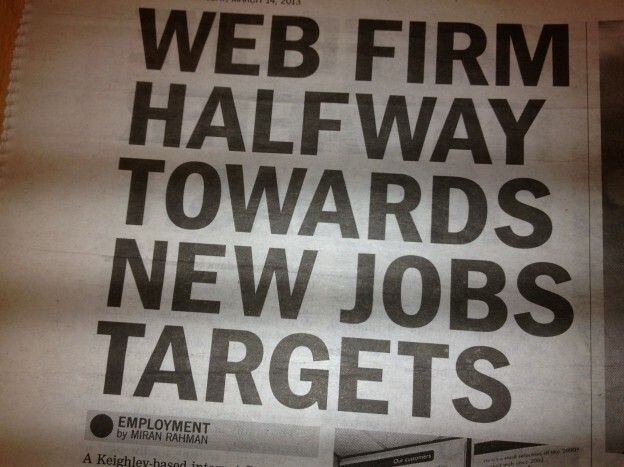 It’s nice to see interest from the local media – and this kind of coverage obviously helps us to get the message out to local job seekers that Webanywhere is one of the best places in the region to find your niche and build your career. This entry was posted in careers on March 18, 2013 by Sean Gilligan. 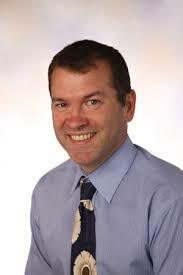 As MD of Webanywhere Ltd, I'm interested in everything to do with e-learning and the web. Amongst my random thoughts and witterings, I'll keep this blog up to date with some of the best ideas and resources that I find online, plus snippets from our company news. Subscribe to the Newsanywhere bulletin for free education news and resources.